At least for this season. I always get the blues around now, knowing it will be at least 6 months until Spring returns. I do miss them; perhaps more this year than previously because I can’t help feeling we were robbed of a good month. A lousy June impacted the rest of the season in a way that didn’t allow it to quite catch up. Not just dragonflies. Butterflies have really suffered this year. Even the common species are way down , which may be cyclical and to be expected, or may well be down to more sinister progressions. I don’t like to delve too deeply into the politics of conservation; I prefer to leave that to the experts. I do however believe that we should take responsibility on a local level rather than blame a worldwide trend. In other words don’t start blaming forces out of your immediate control as the cause of species decline you sip your G & T’s on your concrete patio looking over your pristine lawn. I did have a fabulous season this year. A chance to step back even further, slow down even more and appreciate the wonders at an intimate level. The chase became a prowl, patience replaced the rush, even the quietest moments were cherished. It’s a pleasant feeling to be able to walk rather than run. Take it all in. Breathe the air, feel the wind. Relish the moment the clouds recede and the warmth explodes in a confusion of life. Better than any firework display I’ve ever seen, although wouldn’t it be wonderful to have a spectacular closing ceremony before winter sets in? In Spring we have a dress rehearsal with Large Red, Azure, Blue-tailed and Red-eyed before the true opening ceremony around May and a festival of treats throughout summer. By the time we get to Autumn the last to leave the party are the stragglers. There are still a few Migrant and Southern Hawkers around, a bevy of Common Darters and reports still coming in of Willow Emerald. The latter are certainly one of the success stories this year, having colonised yet more places with Buckinghamshire having their first sightings this year. Hampshire next season? It’ll be nice to have them appear on my own patch, offering a reason to extend the season further. In the meantime let us celebrate their continued success. 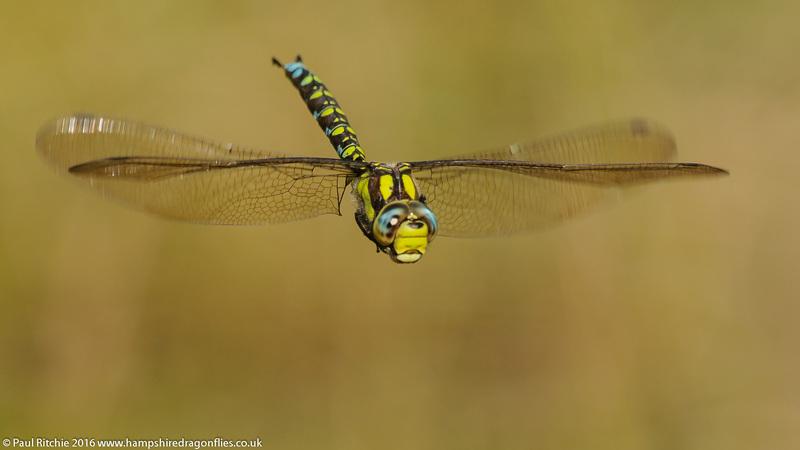 We can also celebrate the influx of a few Vagrant Emperor too – from the Scilly Isles to Orkney! As with all migrants a sighting relies on more luck than planning, which is how I prefer it. The excitement of a rare is always enhanced when you’re not expecting it. So here’s to next season. I have a gut feeling it will be a good one. In the meantime I’ll leave you with a short film from Aaron Cook who I was pleased to finally meet up with again in July. 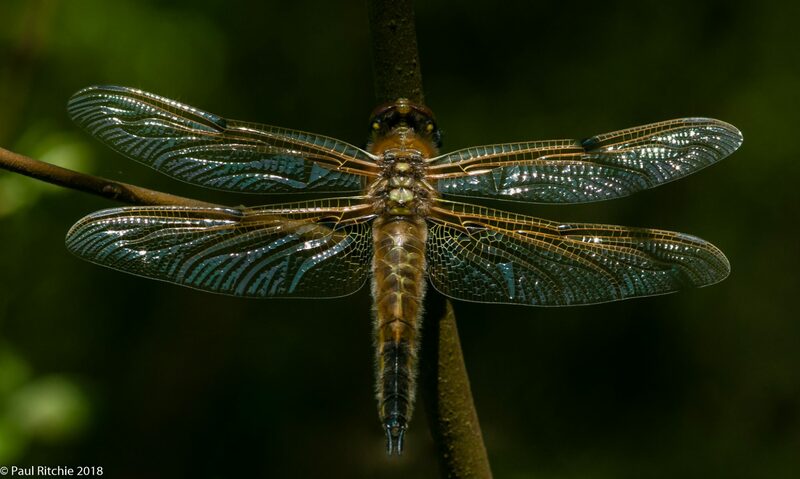 In Search of the Brilliant Emerald Dragonfly with Paul Ritchie from Aaron Cook on Vimeo. It’s been over two weeks since my last entry, for which I can only apologise. The reason being the noticeable feeling that the season was definitely on the wane. A day after my last trip to Bramshill Mike Barnet and I decided to pay a visit to Priddy. Unfortunately the weather wasn’t on our side, and by the time the sun appeared it was just a little too late to raise the temperature enough. 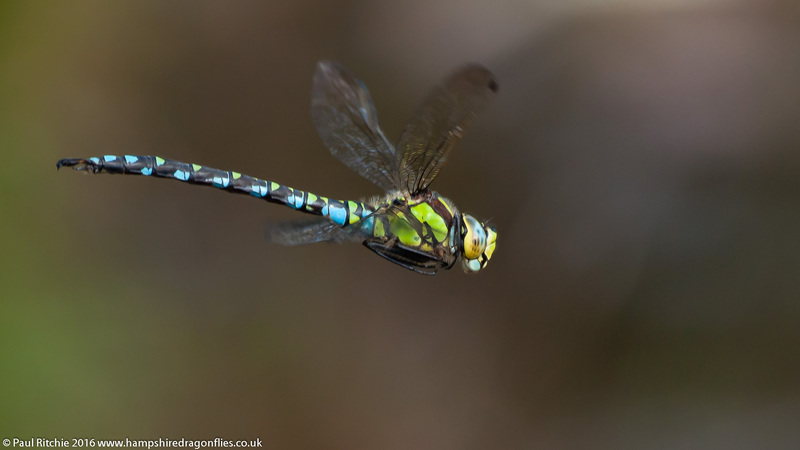 There were a few Moorland Hawker around, but far too busy seeking females around the margins. Surprisingly the Emperor from my previous visit was still holding on; battle-scarred and submissive in any conflict today. Across the other side I found two Southern; one giving my only worthwhile opportunity of the day. My experience at Priddy put a damper on my enthusiasm so it was a fortnight before I ventured out again for a walk around Ramsdown and Town Common. A ‘walk’ being the aim of the day. Any Odos would be a bonus. 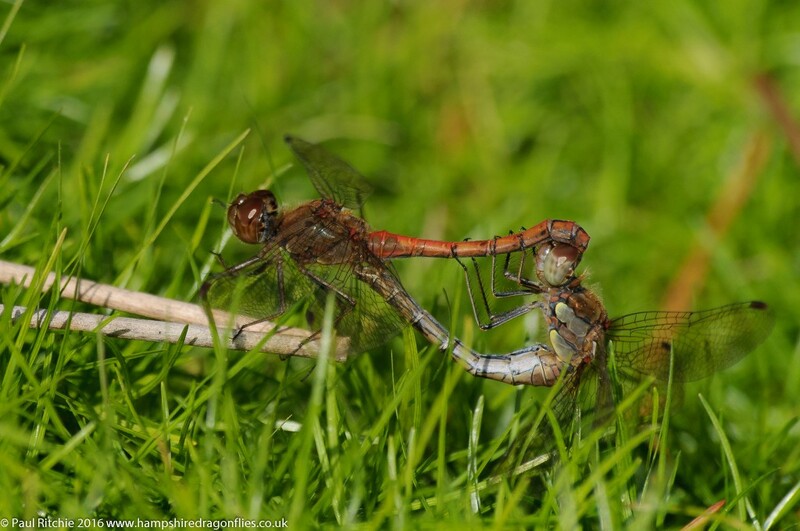 There were a few Black and Common Darters scattered among the heath and at Hawker Alley a couple of Migrant hawked the treeline while a few Common Darter made use of the puddles along the track. The hidden pond produced a Southern which disappeared when a Bat flew in for a drink. Approaching the hill pond I noticed a male Southern patrolling which would’ve kept me busy had it not been from a Moorland seeing him off before disappearing himself. 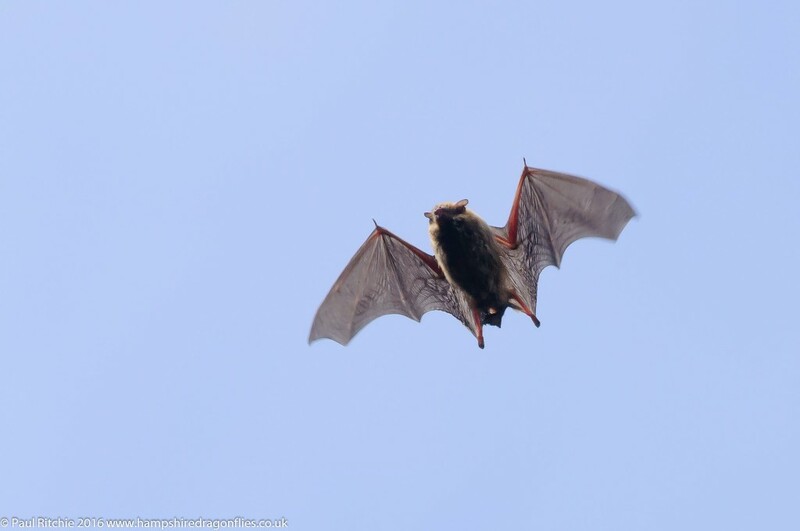 Despite a three mile walk around Town Common that rather magical moment with the Bat turned out to be the shot from the day. These diminishing returns are usually the catalyst for calling time on the season except I couldn’t let it fizzle out without a final visit to Bramshill. With the ‘just a walk’ mentality in place Sue & I walked the increasingly saturated paths to the ponds. The usual bobbing Common and Ruddy Darters and a female Southern disappearing out of view across the clearing looked promising at first but the three small ponds had only a couple of tandem Common Darter pairs across the water. A break in the clouds provided a magical moment when the mossy pond filled with golden light, creating a hive of activity. Mainly Common Darters, but the amount was impressive for this late in the season. Just the one Hawker, a Migrant patrolling the far shore, bullying any tandem pair which got in his way. A walk through the woods showed a few more Migrant, a male Southern and a few Common Darters while Long Lake belonged to the water fowl. A final look in at the mossy pond finally produced an opportunity with a willing Southern. Once again I waited all day to get a shot worthy of going home with and the moment shared with my quarry filled me with the joy I hadn’t experienced weeks.